Before we get to the Seche Holiday 2013 Gracious and Kind collection, we at Beautygeeks would like to apologize for bombing you with so many nail polish posts in the last few weeks. But we really can’t help it. So many lovely polish things are launching this holiday season, and we’re trying to keep you in the loop on all of them. 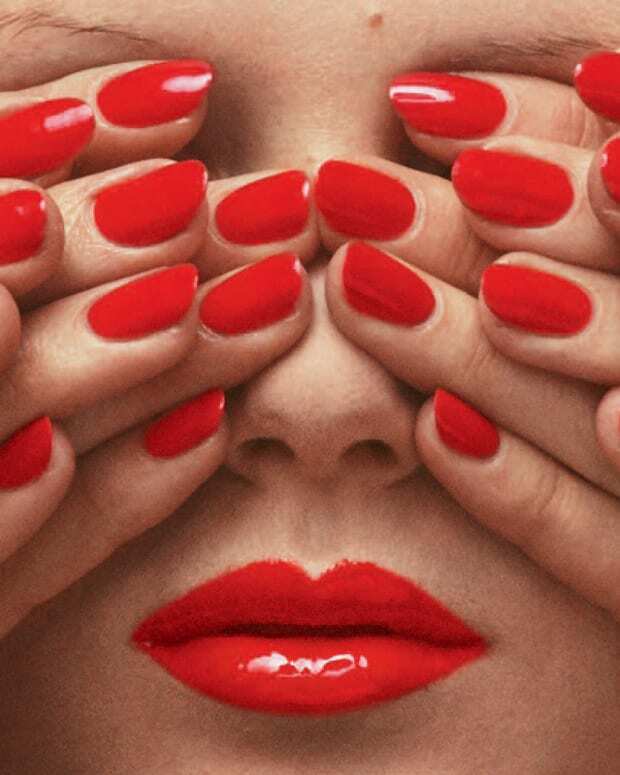 If you’re not a lacquer lover, we apologize in advance for sticking our painted fingers in your face so much. If you are a lacquer lover, let the polish joy continue! Seche is the brand everyone knows for its killer Seche Vite top coat. But it also makes very lovely nail varnish. 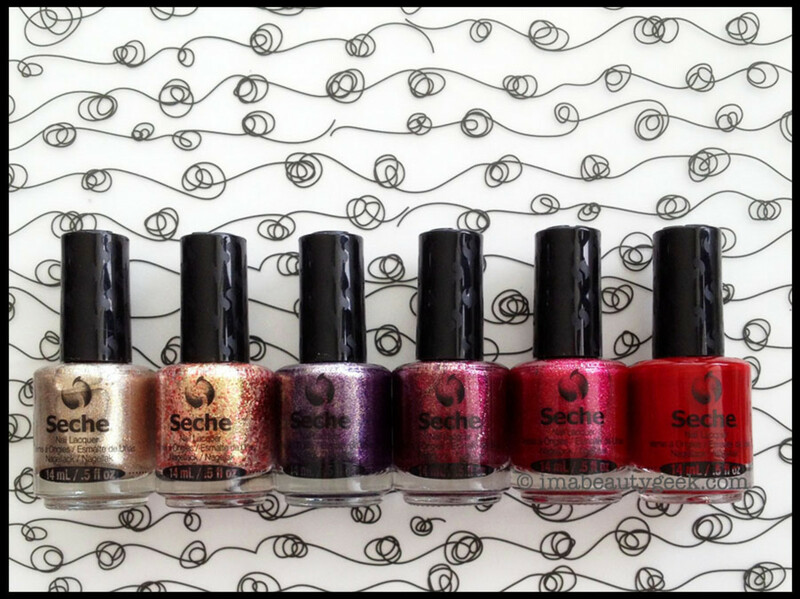 The Seche Holiday 2013 Gracious and Kind collection is six bottles of happy. 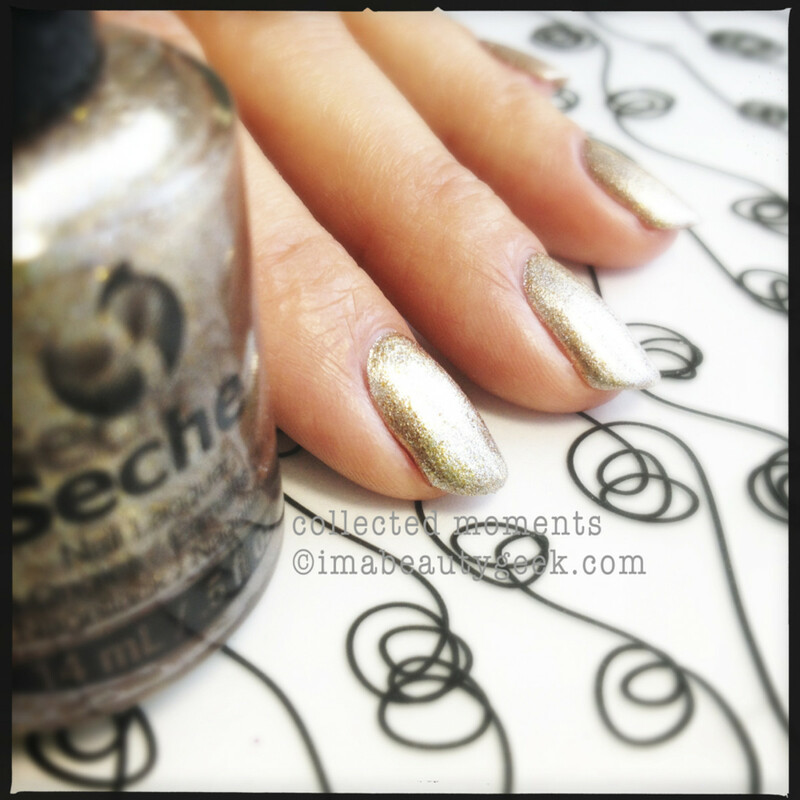 Seche Holiday 2013 Gracious and Kind collection, Seche Collected Moments: I like this shade of gold. It’s so pale it’s almost white – like white gold. Or chrome gold. Whatever you want to call it, it’s a sparkly metallic shimmer, see? 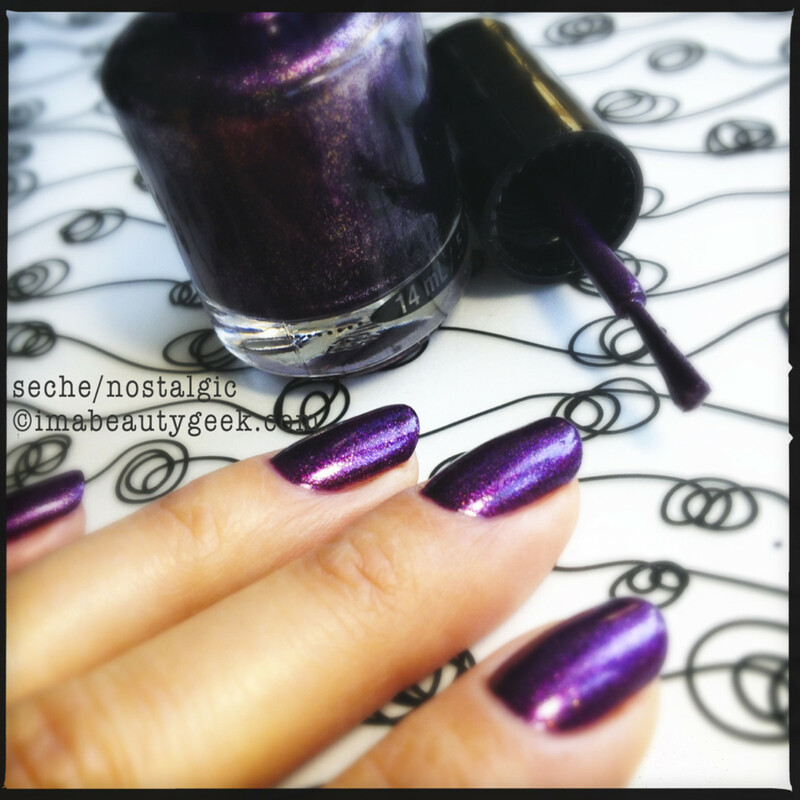 Seche Holiday 2013 Gracious and Kind collection, Seche Sparkle, Clink, Kiss: When I pulled the brush out of the bottle, I thought to myself “self, I think I’ve seen this somewhere before…” Turns out, I sorta have. It’s similar to Essie On a Silver Platter (seen here in the Essie Encrusted Treasures swatches). If you put it on by itself, it shows like a pale gold foil with red glitter chunks . If you put it over a dark base coat, the deeper gold pops out. I’ve reserved judgement – can’t decide if I like red and gold together. 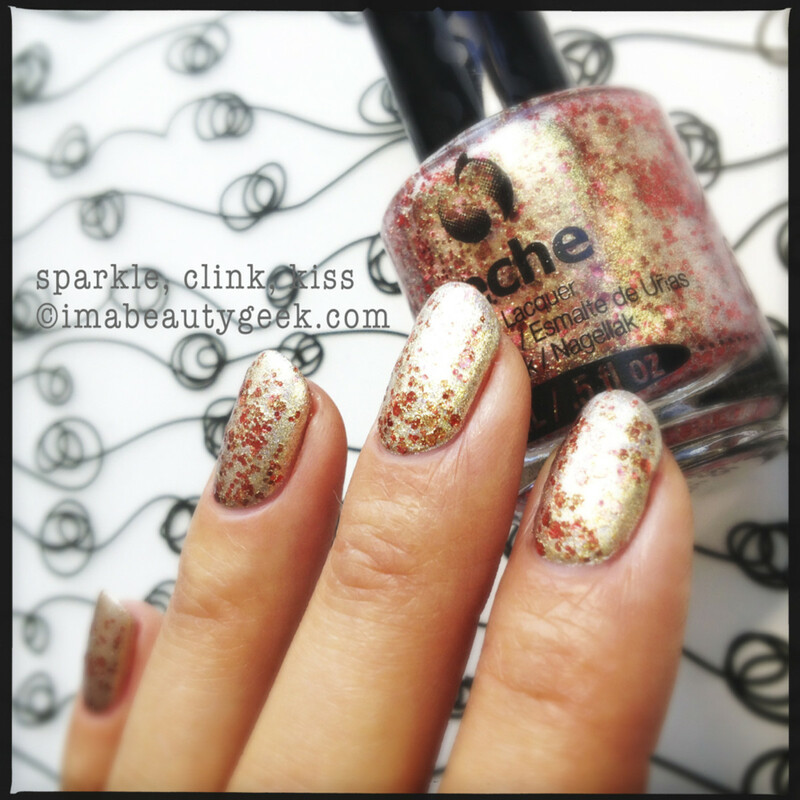 Seche Holiday 2013 Gracious and Kind collection, Seche Nostalgic: OCW!!! Oh, shimmery purple, I love you so. That you go on and give me complete coverage in one coat makes me want to carry you around in my pocket and show you to everyone. 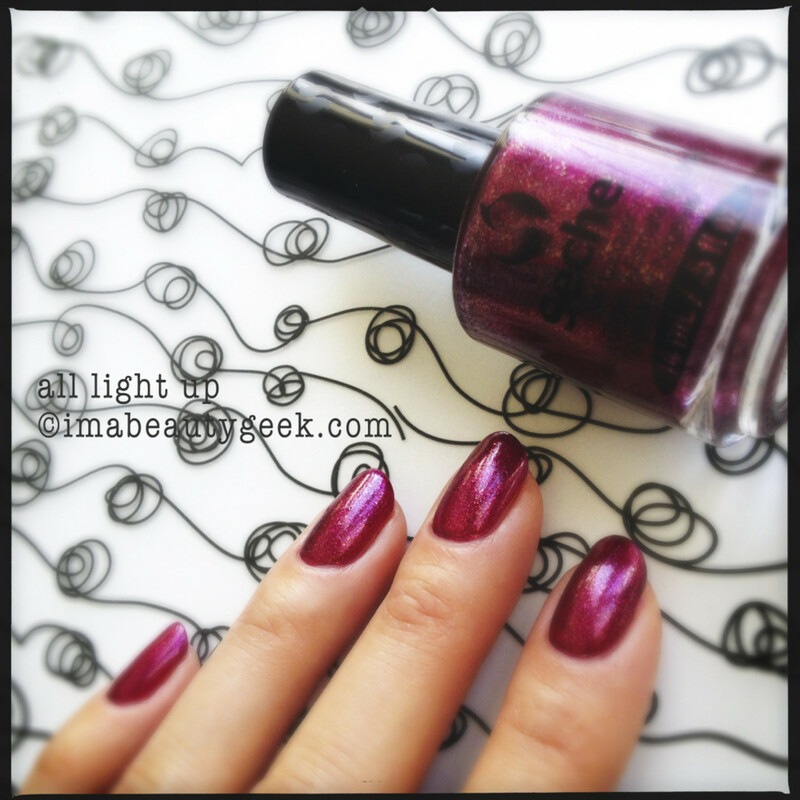 Seche Holiday 2013 Gracious and Kind collection, Seche All Light Up: OCW!! This is one of those metallic shades that I think about buying every single time I see it. That it goes on in one coat makes it even dreamier. Seche Holiday 2013 Gracious and Kind collection, Seche Gracious & Kind: (Yeah, the shade name has an ampersand, but in the collection name "and" is spelled out.) Huh. I wonder why they chose to put such similar shades into one collection? I’ve got Seche Gracious & Kind on my ring finger and Seche All Light Up on all the rest. They’re very similar and both go on in one coat. 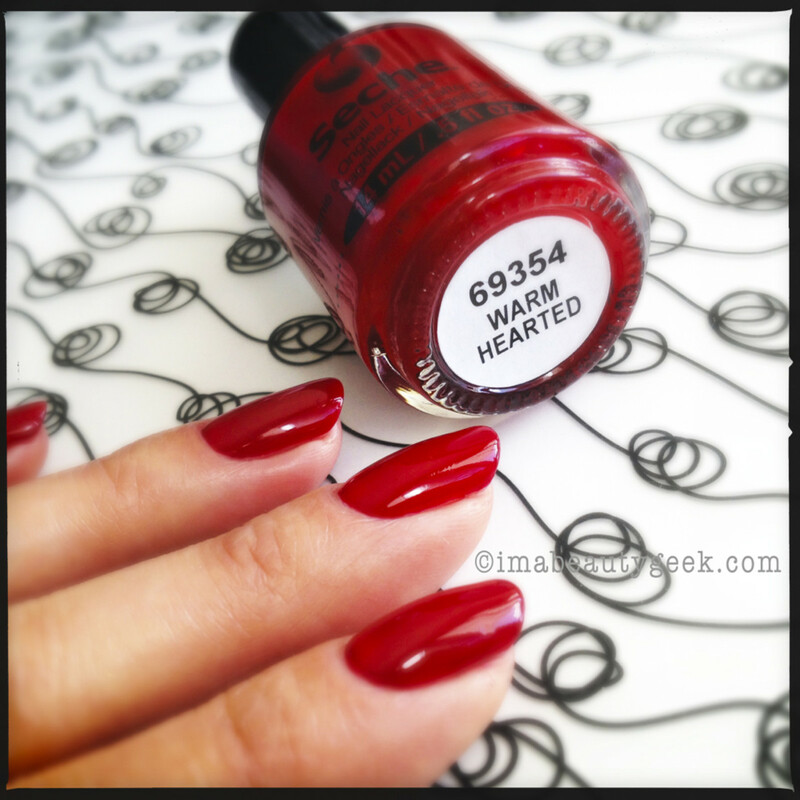 Gracious & Kind is a touch more scarlet red, but really, do you need both? I think not. 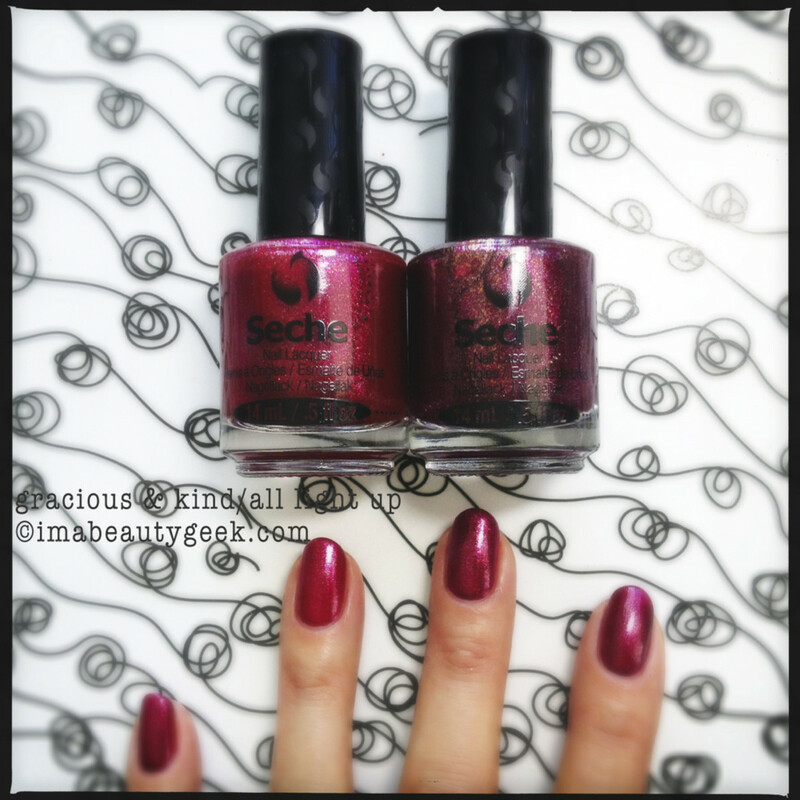 Seche Holiday 2013 Gracious and Kind Collection, Seche Warm Hearted: Lookit that red that screams holiday! It’s beautiful. If you don’t have a red like this one yet, I’m just going to say this one is a winner. In Canada, the Seche Nail Lacquer Gracious and Kind holiday collection ($9.99/bottle) will be available in November at Loblaws, PharmaPlus/Rexall and Lawtons.